November has proven to be a challenging month for us over here. Autism has been front and center and my son’s struggles have been tougher recently than usual. In the last couple of years, training for the Boston Marathon has been an outlet for me to be able to stay positive in the tougher stretches because it became a healthy distraction where I could do something I love while raising money for a cause I’m so passionate about. This year my husband is training for the marathon and I’ll be cheering him on. I’m so excited for him and will be supporting him every step of the way. However, one MAJOR thing I have realized once the marathon is over, I still need something positive to focus on to feel like I’m making a difference. Yes, I have absolutely fallen into a funk plenty of times when reality sets in and I realize that somethings may never be so simple or carefree for him. My heart hurts every time I notice some just don’t really understand my son and the playdate requests only come in for my daughter. I’m going to be very honest here and say I feel hopeless sometimes and I absolutely hate that feeling because I have so much to be grateful for and I don’t ever want my children to think anything is impossible or hopeless. I also want them to know it’s a great thing to have goals so big it terrifies them and excite them all at the same time. 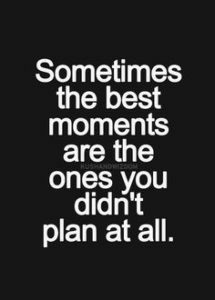 So instead of moping and just hoping some day things will be different, it’s time for me to start doing something more to take a step to make the changes I want to see in this world for my children. Positive change does begin at home and how we parent. It does start with the kind of people we are raising our children to be. BUT, something inside me for awhile has been eating at me because I’ve been feeling like I need to do something more. I want to educate more people on Autism so they understand my son and others just like him. I want to promote acceptance. I want to talk about it more so an Autism diagnosis doesn’t seem so scary to parents just hearing that diagnosis for the first time. I want it to be out there so that people understand how AUSOME I think my son is and how they’re missing out by not realizing the same. I want my son to embrace every ounce of who he is and be so proud of himself daily. I want people to be just as accepting as my daughter without thinking it’s a big deal. I want Autism to be understood for what it is and to understand that it is NOT ALL that a person is. I want to be able to provide opportunities for clubs for kids like my son so they have an opportunity to do something fun after school with an opportunity to connect with new friends so that their days are not just filled with school and therapy. The only way I know how to try to make that happen is by taking action myself. So I’m letting you know what I’ve been inspired to do and what I’m working on. 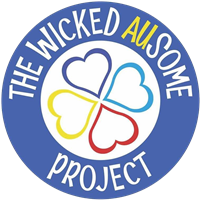 I present to you, The Wicked AUsome Project. It’s a new foundation that I have started to promote Autism Acceptance and Awareness within the community. I am working with some of the best Special Education staff EVER to be able to present materials that will hopefully be an incredible resource to many, along with activities and clubs for kids on the Autism Spectrum. It’s a dream to help as many as possible. Life has a crazy way of bringing you EXACTLY where you are supposed to be. I now understand so many of the twists and turns. Without them, this project wouldn’t exist. It’s all still a work in process with rolling it out, but I’ll be making updates on this project as things are completed. I’m so excited to share the logo and everything else coming in the next couple of months.